Posted on October 23, 2013 by REDSTAMP Inc. Many States are considering a more secure form of tax stamping. As of today California, Massachusetts and Michigan have adopted such legislation to move from Thermal Tax Stamping, to the NEW Digital Tax Stamping System. RED Stamp is a digital tax stamping information expert and is here to provide support for Distributors during transition periods to this new system. As news is available for State Stamping Agents, we will post information on our MI DIGITAL TAX STAMPING BLOG, to keep you up-to date on news and information. Our goal is to assist customers in preparing for a smooth transition, and to be the leading innovator providing up-dates on new legislation: Working with Legislators, Associations and Security Companies. 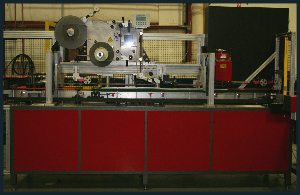 RED Stamp offers automatic digital stamping e-mail updates as they appear on this post. To receive these, just enter your email on the right of this page and click subscribe. No spam. You will only receive updates available as they are posted on this new technology. Enter MI DIGITAL TAX STAMPING BLOG HERE. 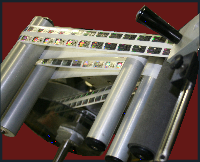 Currently, most State’s stamps are applied by heat transfer machines. However, Digital Tax Stamps are “pressure sensitive” which requires a specialized machine to apply and track these stamps. These digital stamps are ‘smarter’ and contain a unique non-repeating code that can be read by device which identified the taxed product. It will also contain other security and enforcement features as determined by the Department of Treasury.